The Inn at Old Town is a small motel in the heart of Bandon, Oregon. 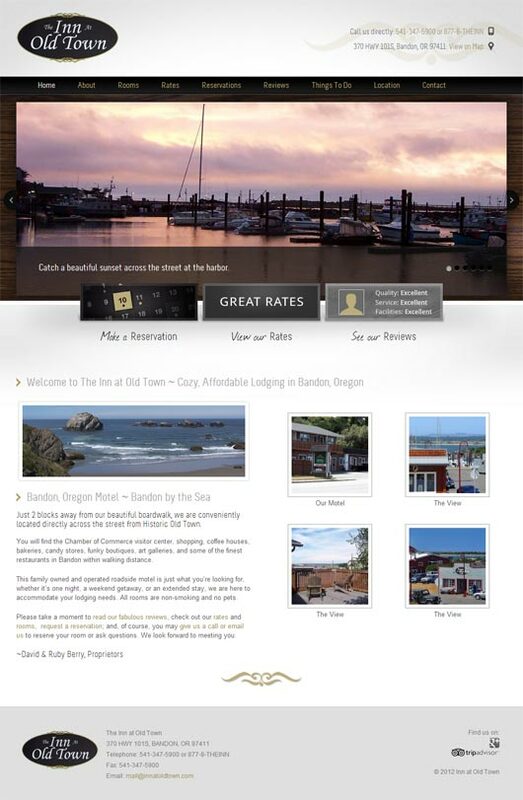 They were in need of a website update to show off the beautiful Bandon coast, their cozy motel, and the solid reviews and ratings they’ve received over the years. The owners of the motel got in touch with Robyn Dombrowski at Creative Heads, Inc. who included us in the website WordPress development. Robyn put together elegant revisions on a well-chosen WordPress theme to make the Inn at Old Town’s site stand apart from other places to stay in the area and from others in the country who may be using a similar theme. Along with images of the Inn and the surrounding area taken by the Inn owners, we integrated reviews using a custom post type that make it easy for the owners to add more, and merged those with TripAdvisor reviews. We also set up the ability for visitors to give reviews and ratings on-site through TripAdvisor. Because making a reservation is an important part of any motel’s process, we included a simple, customized reservation form with the ability to choose room type and check-in, check-out dates. 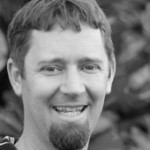 We then set up SEO foundations on the site, including important plugins to help the site get indexed faster and more accurately, with a focus on anyone looking to stay in Bandon. We were able to complete the project quickly, on time and on budget, and the client is delighted with their new site.